Dynafit’s debut of the Speedfit Dynastretch Pant has been anxiously awaited by fence-sitters everywhere. If you can’t decide between weather protection and mobility, you’re in luck because you no longer have to. Stitched with Hybrid Construction, the Speedfit pant is split into two main sections. The front-half is Dynastretch, an abrasion-resistant and weatherproof fabric that is also breathable and stretchy. The back-half is a lighter nylon weave that is focused on maximizing comfort and ventilation. Intuitively placed to allow your body heat to escape with forward movement, the light material is coupled with articulated knees to provide outstanding mobility. Aimed at the skiers that enjoy light ‘n fast missions but aren’t willing to sacrifice much protection or real-world durability, the Dynafit Speedfit Pant is here to stay, we’ll say. Hybrid Construction uses lightweight nylon and Dynastretch fabric to make all your halves whole. Silicon grippers on the cuff help seal out the elements during a storm or ambitious booter. Zippered cuffs have buttons for easy access to buckles and a customized fit. Active Airflow Venting means less overheating and more overjoying. Elastic waistband is adjustable via a pull tab in the front. Notes Zippers at the cuff for easy-on over boots. What is the european size of the small? 46 or 48? 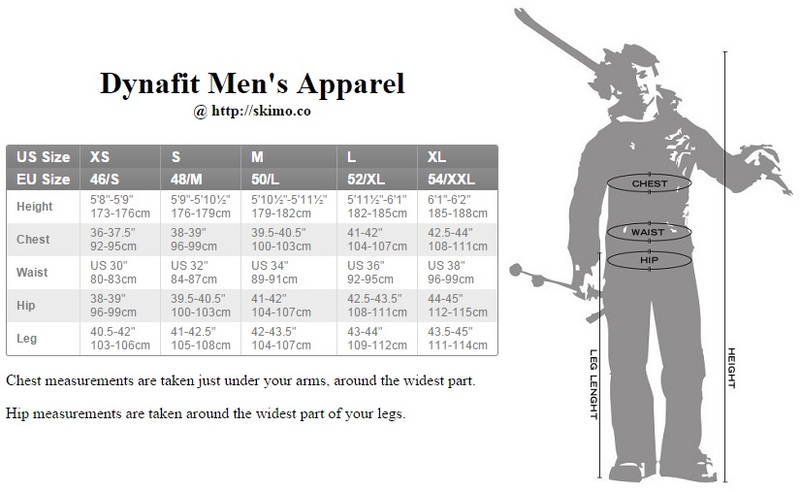 Your size chart and dynafits don't match. Hi Joe, the small we have listed is a US size which is equivalent to a euro medium, or 48. What is 14 + 3?